Premium quality 11 oz. ceramic mug. 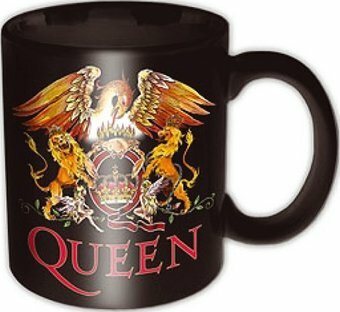 An officially licensed Queen 11oz Boxed Standard Mug in Black ceramic featuring the 'Queen Classic Crest' design motif.